1. 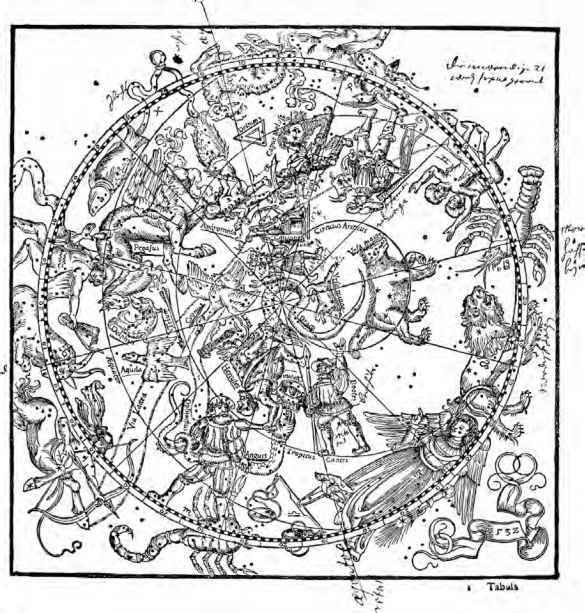 Each sign is divided into three parts, and each part has one decan,26 so that in each sign there are three decans, each having ten degrees out of the thirty, and over those ten degrees it exercises its power and control. They have infinite power and freedom in indicating the fates of men. 2. In addition, the decans themselves are allotted to individual planets, so that if the planet should be in that decan, even though it is in a strange sign, it is considered as if it were in its own sign. Located in its own decan it accomplishes the same things as when in its own sign. to the Moon, the third to Saturn. Of Gemini the first decan belongs to Jupiter, the second to Mars, the third to the Sun. Of Cancer the first to Venus, the second to Mercury, the third to the Moon. Of Leo the first to Saturn, the second to Jupiter, the third to Venus. In Virgo the first to the Sun, the second to Venus, the third to Mercury. In Libra the first decan belongs to the Moon, the second to Saturn, the third to Jupiter. Of Scorpio the first to Mars, the second to the Sun, the third to Venus. Of Sagittarius the first to Mercury, the second to the Moon, the third to Saturn. Of Capricorn the first belongs to Jupiter, the second to Mars, the third to the Sun. In Aquarius the first decan belongs to Venus, the second to Mercury, the third to the Moon. In Pisces the first decan belongs to Saturn, the second to Jupiter, the third to Mars. 4. Some who wish to elaborate this in more detail add three divinities each to every decan, which they call munifices,27 that is, liturgi, so that for every sign nine munifices can be found and every decan is divided into three munifices. 5. 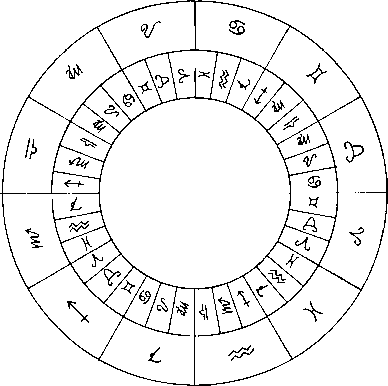 Again, the nine munifices which they say are allotted to every sign they divide into an infinite number of powers of divinities. By these they say are decreed sudden accidents, pains, sicknesses, chills, fevers, and everything that happens unexpectedly. Through these divinities they say defective births are produced among men. 6. But this part of the doctrine we must of necessity pass over in this book. The Greeks also, who tried to reach the secrets of that theory, stopped at the first stage and left the subject with a certain reluctance. But now we must return to the doctrine where we left it.